How open will your bank become? Beauty is in the eye of the beholder. For eons poets have waxed lyrical over this or that person or edifice with even the Bard of Avon himself writing of how “a rose by any other name would smell as sweet”. When it comes to technology, IT and banking, where one CEO sees the future direction for technology in support of their bank another CEO may have a completely different perspective. This all came to a fore recently at the Sibos 2018 conference in Sydney, where bankers jostled with each other to highlight their journey to open banking. However, as the stories unfolded it became a lot clearer that open banking means different things to different CEOs. In fact, the topic could just as easily have been about next generation of computing or perhaps even Banking 2.0, but I suspect we have moved passed all of this even as these labels have probably been used many times before. However, the issue remains, what is open banking? What do bank CEOs mean when they declare that their bank is on a journey, transforming, embracing new platforms all under the banner of openness. In his plenary session on day one at Sibos 2018, ANZ CEO Shayne Elliott talked up the whole notion of ANZ embracing open banking “where customers take greater ownership of their data” such that in time, “this will drive differentiation between banks (and between banks and fintechs)”. In other words, as best as I could tell, open banking was akin to opening the bank to a form of partnership between banks and their customers in a manner that is almost a complete reversal of the former secretive behaviour. Yes, open banking is most definitely about data even as it is most definitely about application programming interfaces (APIs). As one source I sought out states, “open banking is a system that provides a user with a network of financial institutions’ data through the use of APIs. The Open Banking Standard defines how financial data should be created, shared and accessed. By relying on networks instead of centralisation, open banking helps financial services customers to securely share their financial data with other financial institutions.” Perhaps, even more importantly from an industry perspective this same source noted how, “open banking regulations require banks to publish, both online and inside their branches, accurate and unbiased information that lets consumers evaluate their service quality, a move towards transparency designed to motivate banks to provide the best possible customer experience”. However, open platforms, open source (software), open access and open banking – doors that are wide open to partnerships – certainly doesn’t sound like there is a tried and true formula to follow. In fact, talk to any participant at SIBOS and you got a different definition every time. Is running zLinux on an IBM mainframe one option for open banking? Is running a virtualised NonStop in a private cloud another option? Is anything deployed on Microsoft Hyper V or Amazon AWS or even the more ubiquitous VMware synonymous with open? Is anything supporting the Intel x86 architecture open by the sheer number of servers sold? Strong arguments can be made either way and I am already hearing of presentations from all of the above on how their transformation to hybrid IT, embracing industry standards and supporting open-source software provide banks with the agility and openness that they are looking for today. Forget regulations and standards, I am going to do it myself to the benefit of just my customers! Sound familiar? CEOs may relish advocating for open banking but I have to believe that their technical staff have a greater depth of knowledge on the topic even as they are already lining up their preferred “software stacks”. Whatever happened to the idea of LAMP – Linux, Apache Web Server, My SQL and PHP or Perl or Python or whatever’s coming along next – as I was once given a project to select a potential candidate stack for one of the biggest payments solutions vendors popular with all banks at the time. And when it comes to open source – is it GPL or Apache licences that are preferred? Bottom line – as you wonder up and down the list of options your approach to open banking can become as closed or proprietary as any previously-deployed banking solution. There is no magic here with perhaps more work involved than previously funded and bank CEOs need to tread very carefully before extolling the virtues of their journey into open banking. Furthermore, CIOs and CTOs need to do their homework before simply providing senior management with catchy phrases. But there are noticeable headwinds whenever the topic of open banking and the open bank comes up. It’s disruptive even as it is not the panacea today’s executives are being led to believe. As ANZ’s Elliott acknowledged, it can be unseated through complacency given that it has proved difficult for institutions to change strategy and to change direction. 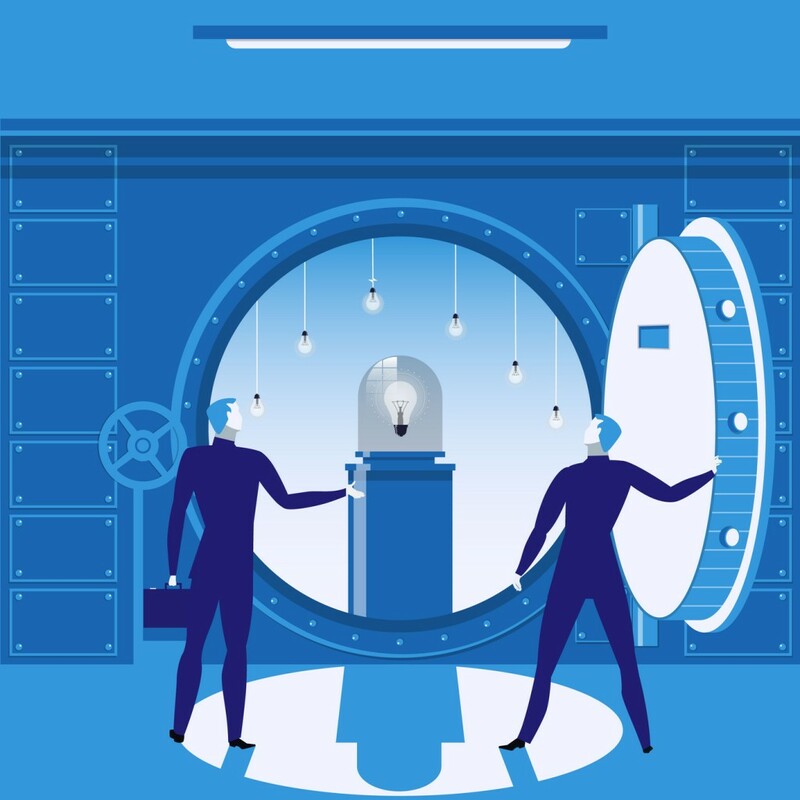 More surprising still is that senior executives don’t even know what open banking means other than perhaps the deconstruction of their data center – embracing Linux, Android, Firefox, PostgreSQL, Python etc. all sounds good (and I lost count of how many times these leaders recounted these products and more) developing APIs and in general opening up their enormous volumes of data collected through the ages – but taking on the role of a software house and introducing a release strategy conforming to external business and legislative requirements isn’t going to lessen the human element; it is going to add to it! More importantly, there is a growing sense that bank CEOs like open banking as it represents a move away from the past as distinct from an investment in the future. What’s gone before has become a millstone around their collective necks. As for the very essence of open banking it is their hope to build a more flexible and agile platform that allows them to be more responsive to changing business environments even as it allows them to better engage directly with their customers responding in a better way to their ever changing commercial behaviour. It may be fine to say that banks need to handle change better than they have in the past but first they need to fully understand what it is that they are signing up for – open banking isn’t the same as open borders for instance. It’s not about the absence of barriers as much as it is about speed without compromise; it’s about handling change without vulnerabilities; it’s about customers becoming more involved with the data they create. There is a very good reason why software companies have fulfilled the role they have and have provided solutions for decades. They have the processes and in general, the expertise that many banks will find it hard to reproduce. As ANZ’s Elliott told the Sibos audience, when it comes to the pursuit of open banking, while the bank “really doesn’t know what this future will look like, it needs to be ready and that is with people willing to embrace change; now getting our architecture and hardware in place that can handle change to be not just different via technology but with the way we run our company”. Perhaps this is the most important aspect of open banking that is often overlooked – it’s about culture and partnerships even as it is about fostering groups of people willing to embrace change! And for that then yes, count me onboard with perhaps the simplest meaning for open banking I heard at Sibos – opening the bank doors to innovation and creativity fueled by bank personnel willing to change and to partner up with the banks constituency – their customers. Ten hours a slave... to Twitter complaints. Amid the hype around distributed ledger technology and blockchain it can seem they are technologies looking for solutions. In the heavily paper-based business of trade finance, such technology looks promising and progress is being made elsewhere. "I have lightbulb moments all the time – doesn't everyone?" What was Liz Maguire's, head of transformation and digital at ANZ, lightbulb moment? The global correspondent banking network is under pressure in several countries as some financial institutions close relationships. While financial inclusion continues to climb the agenda of regulatory authorities and financial institutions pledge their support, the de-risking taking place in correspondent banking threatens to scupper inclusion.